Looking for that special gift for the person who has everything? 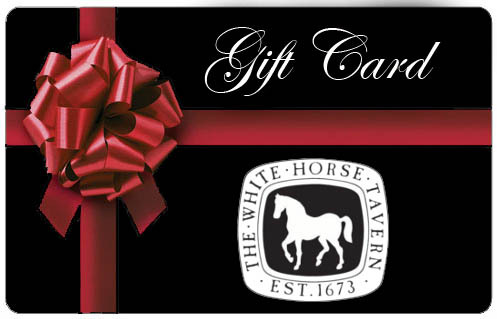 Consider a White Horse Tavern gift card redeemable for food and merchandise here at The Tavern. Use it all at once, or spread the experience over a few visits. It never expires! Available online in denominations up to $250. For a higher value please call us at 401-849-3600.